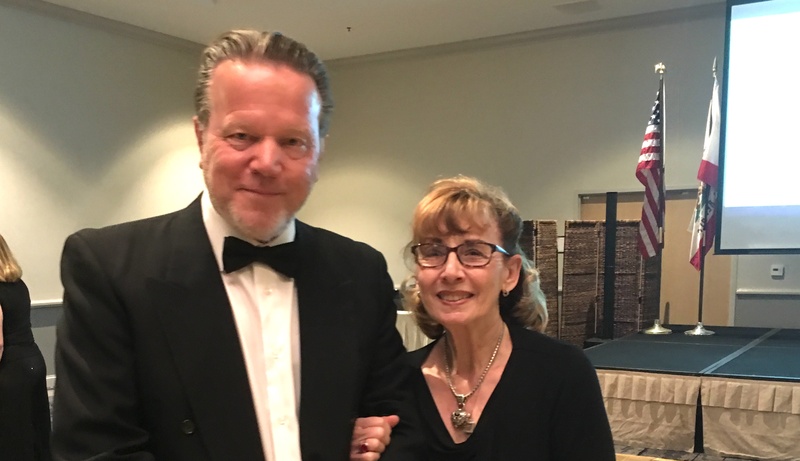 SCOTT WEIMER and Gayle Knight, 2018 Garden Grove Chamber of Commerce Man and Woman of the Year (Orange County Tribune photo). Scott Weimer of Weimer & Associates and Gayle Knight of H.O.P.E. were honored as Man and Woman of the Year Saturday night by the Garden Grove Chamber of Commerce at the Wyndham Hotel. Weimer, a retired veteran firefighter, is now active as a leader in a variety of organizations including the chamber, the Strawberry Festival Association and the Garden Grove Downtown Business Association. Knight is the founder of Helping Others Prepare for Eternity, a private volunteer social services organization which helps provide food, shelter and other help for the needy. The Chamber was founded in 1907as the Garden Grove Improvement Association.